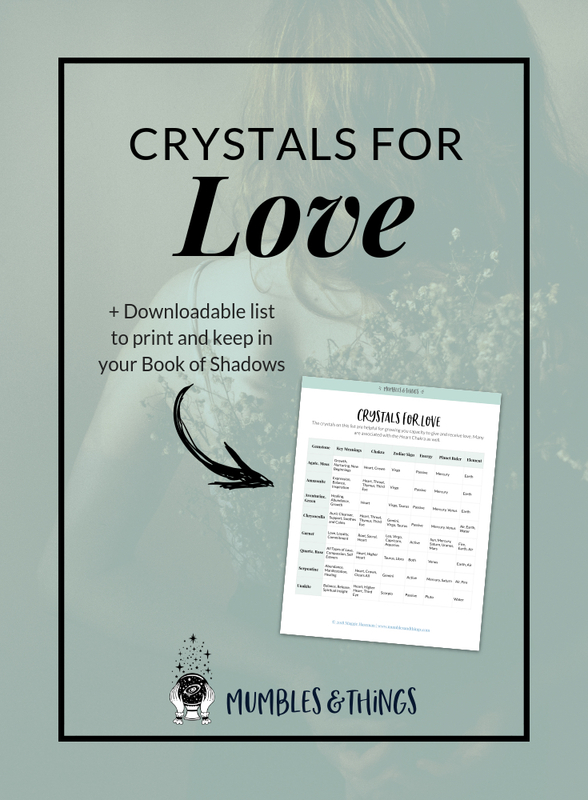 Within this blog post you will find a list of eight crystals you can use for growing your ability to give and receive love. Each of these is also associated with the Heart Chakra. If you feel as though your heart chakra might be stuck or out of balance, do a simple meditation. Place your hands over your heart and focus on this area of your body. With your exhales, send love out into the world without reservation, then on your inhales pull more love inward, toward yourself. Color is a good place to start when looking for crystals to help you balance and open the chakras. The colors often associated with this chakra are pink and/or green. Below you will find a list of eight options you might try. Personally, I think everyone needs to have a piece of Rose Quartz in some form or other. It is a pale pink stone that practically radiates calm and joy. Rose Quartz is associated with love and friendship, and can be used to open the heart chakra. Green Aventurine is an all-purpose healer, used to reduce stress, develop confidence, imagination and improve prosperity. It has the capacity to balance the heart chakra, calm a troubled spirit and bring about inner peace. Amazonite is considered a soothing stone that enhances creative expression and works on the throat chakra as well as the heart chakra. It is called the “hope stone” because it inspires confidence and hope. Chrysocolla is a very peaceful heart chakra stone. It is soothing and calming in times of stress, bringing about a gentle release. Chrysocolla can help calm the emotions and bring understanding. Moss Agate is associated with the heart chakra, and is a stone of compatibility and friendship. It is believed to help enhance healing of all types. It is also said to assist in finding hidden treasure, and is a stone of prosperity. Unakite is referred to as the “couples stone” because it can represent and foster a union or promote a feeling of partnership between colleagues. It encourages self love and love for others. The swirls of both pink and green make it a wonderful companion for the heart chakra. 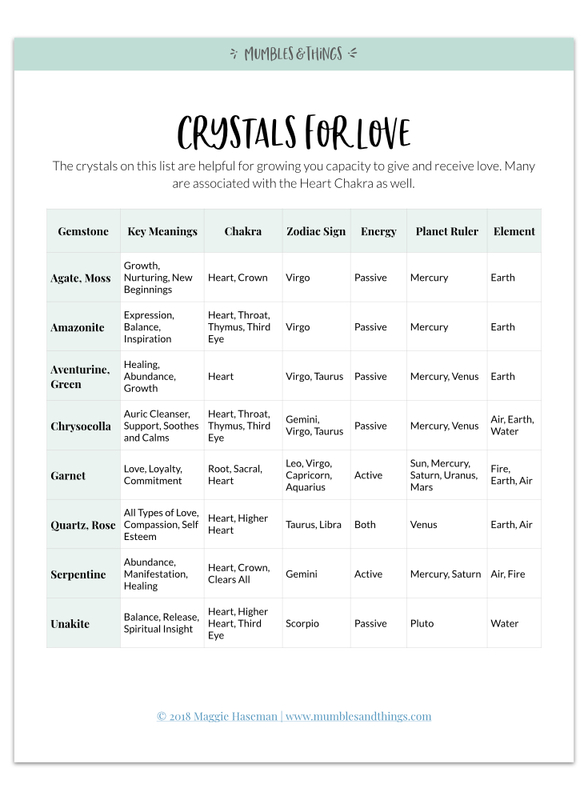 What stones do you use for bringing love into your life and working with the Heart Chakra? Tell me about it in the comments below.